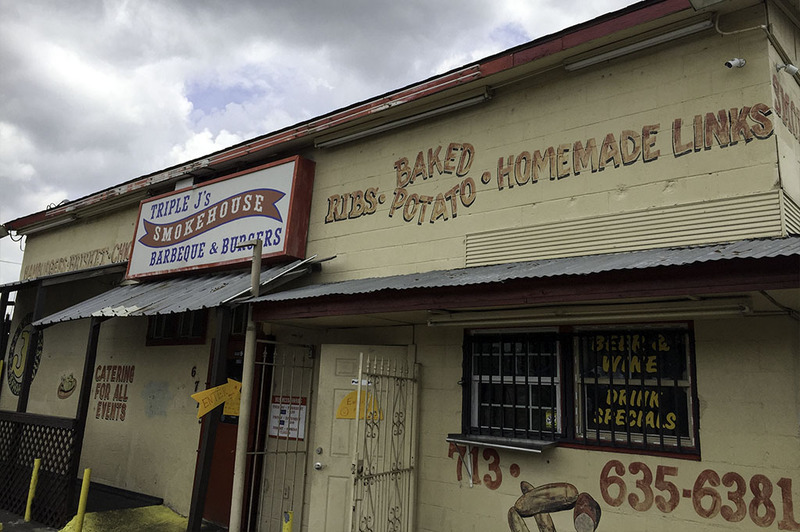 Triple J’s Smokehouse is located on the north side of Houston on Homestead Rd. 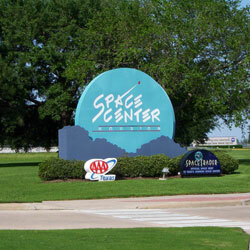 just blocks north of the 610 loop. 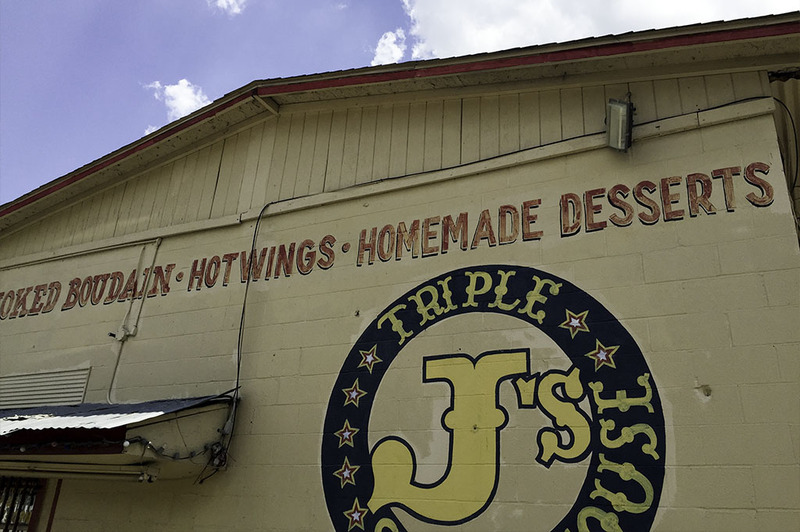 Triple J’s may be on the north side, but its southern roots has made it one of the very best BBQ spots in Houston for over 20 years… that is no small feat! As soon as you pull up in the spacious parking area in the back, you know you’re going to experience a typical Texas BBQ hangout. 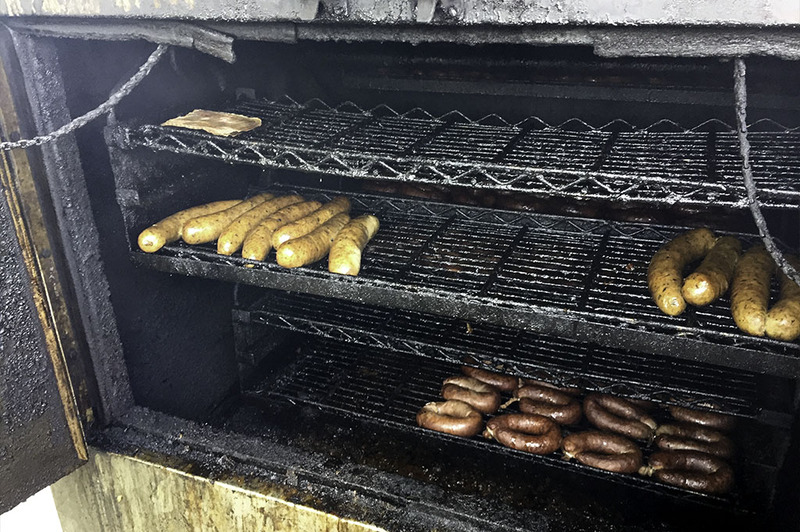 I am so overwhelmed with the wonderful aroma of smoking meats that I stop for a second and put my hand over my heart – knowing I am in for a good ‘ole Texas treat! 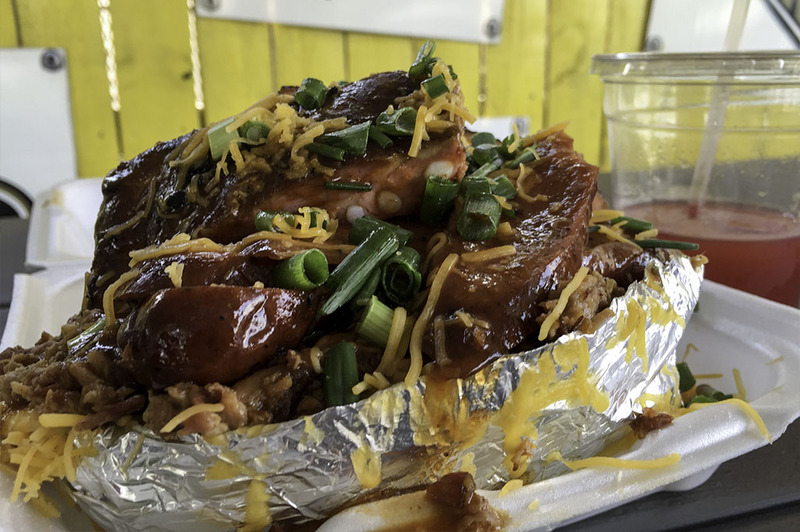 BBQ in Texas and, more importantly, in Houston, is more than just a culinary experience. 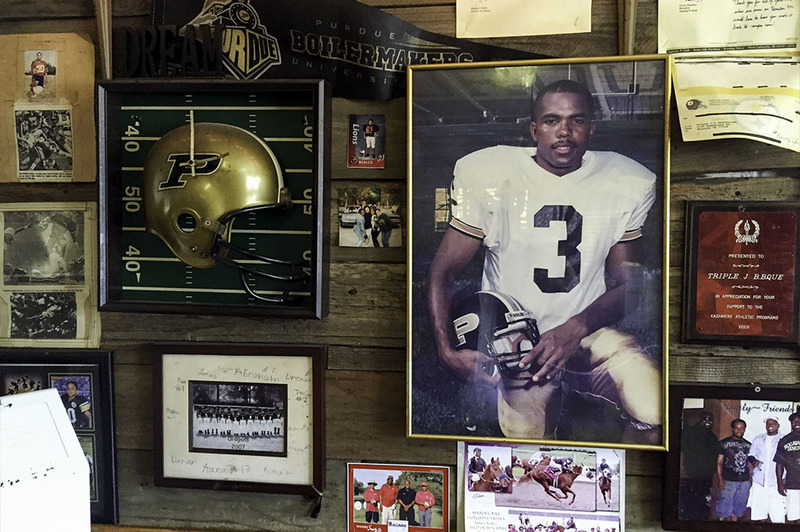 It is about family, friends, history, tradition, pride – in short, it is part of our identity. 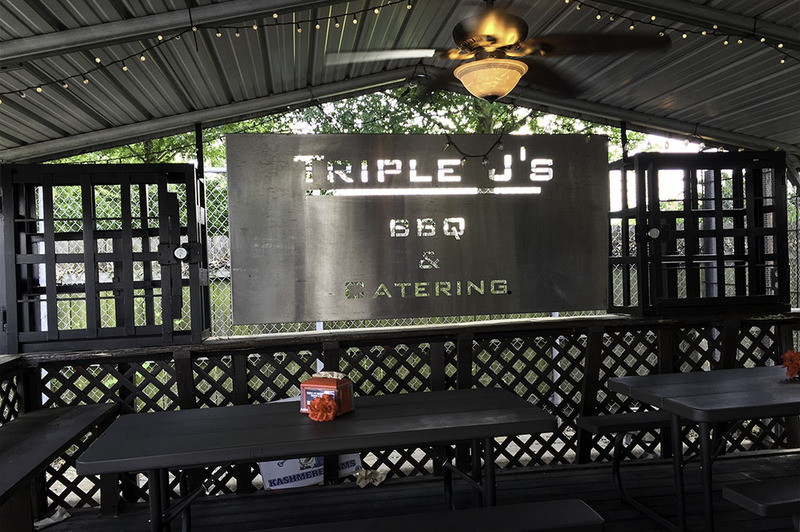 As soon as you walk into Triple J’s Smokehouse, you can see right away that this place is all about community and family. 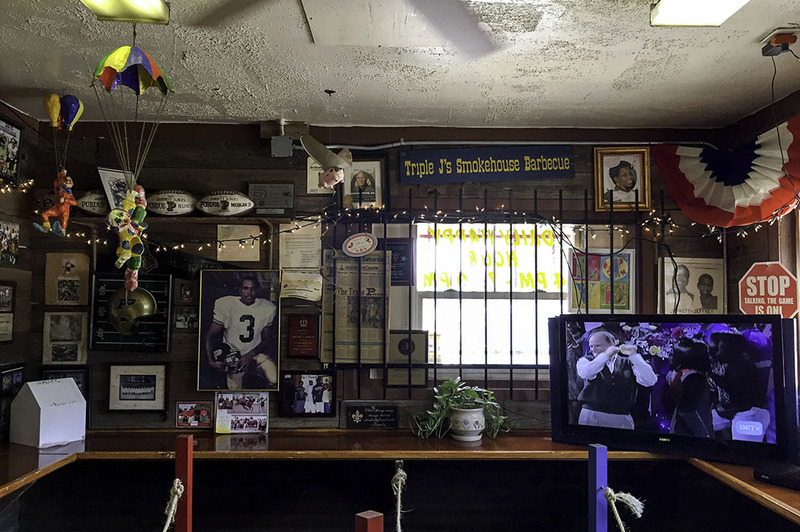 As you can see in the photography, the walls are covered with pictures of famous people and just regular folks from the community who have eaten there on family outings as well as sports logos and memorabilia. As you make your way through the line (which I understand can be quite long at times) you come to the main area where you place your order and get your meal cafeteria-style. In typical Southern fashion, we are loudly greeted and rewarded with a huge smile by what looks to be the host. This experience is just getting better and better. 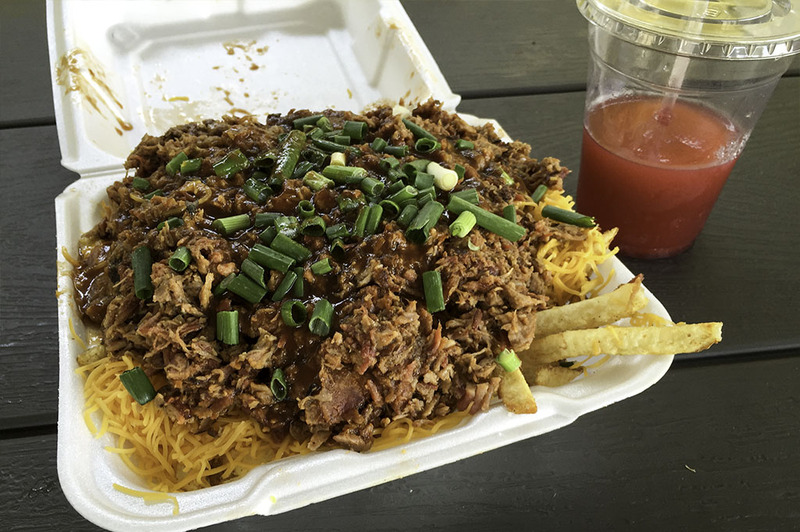 We ordered a couple of Strawberry Daiquiris (which you can order to go, by the way) along with a bit of BBQ history: The Big J, The Raven’s Bowl and J’s special. 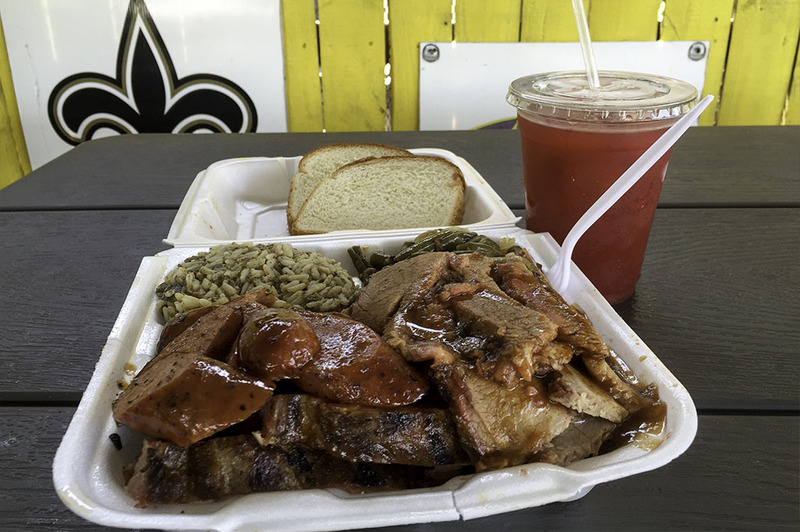 I take one sip of my Strawberry Daiquiri and think to myself how blessed I am to be in Houston, but more importantly, in Triple J’s Smokehouse right now. There’s no inside dining, so we head out to the covered patio where there are plenty of fans and a nice breeze for this time of year. Although it’s an enjoyable space, there are few patrons. It looks like most people get their meal to go. 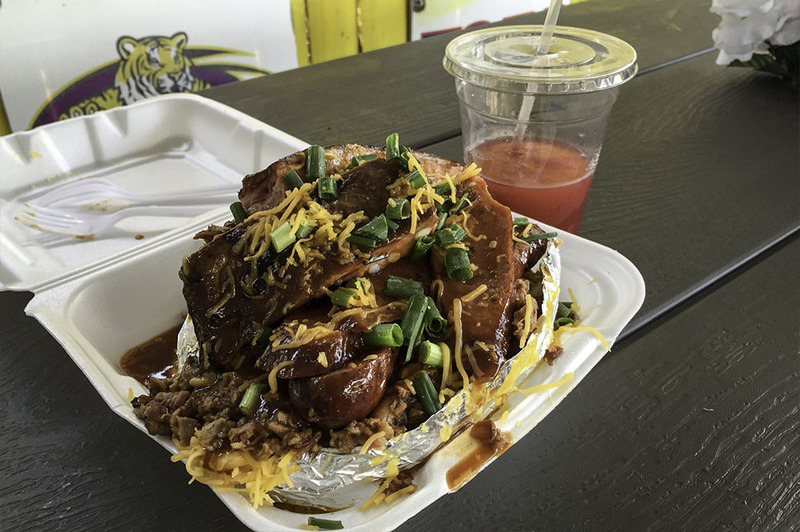 First up is the Big J: an enormous baked potato stuffed with butter and cheese then topped with beef, sausage and ribs. No joke. Talk about a meal fit for a king! 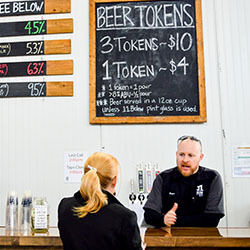 This is a great choice for those who’d like to try it all. 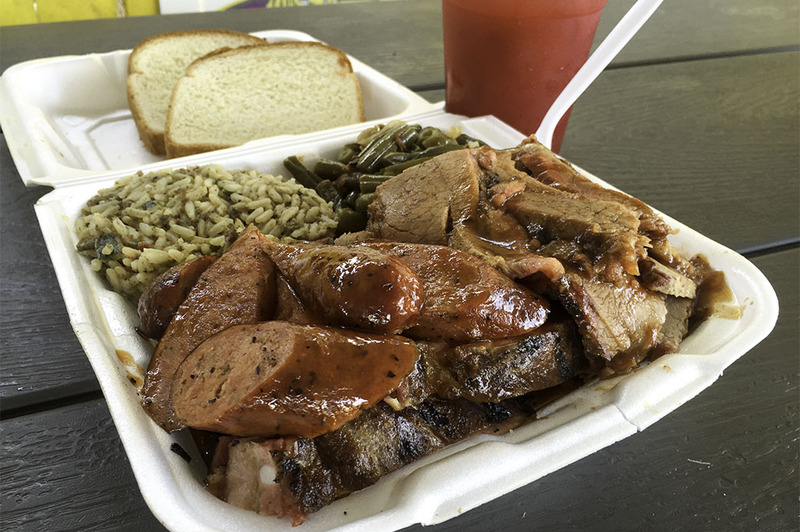 The smoky brisket and juicy sausage were just bursting with the great flavor you’d expect with Texas BBQ. 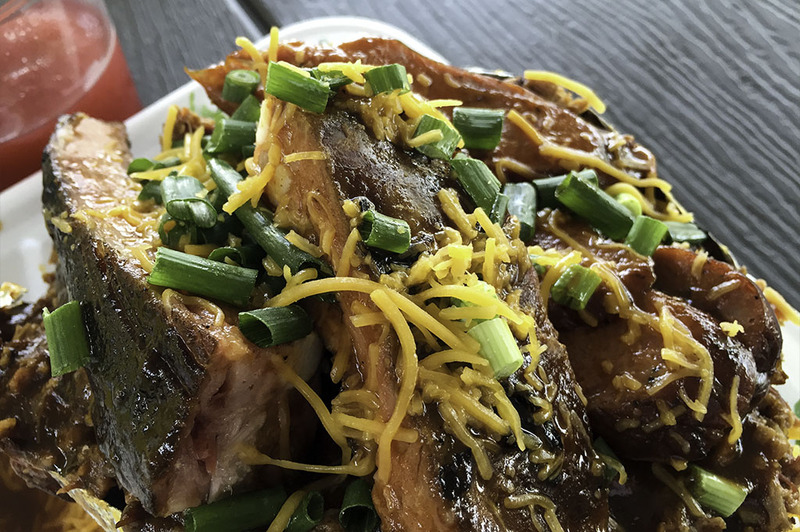 But, my favorite was the pork ribs; it was made with just the right amount of bark along the outside and the meat simply fell off the bone. Unbelievable! 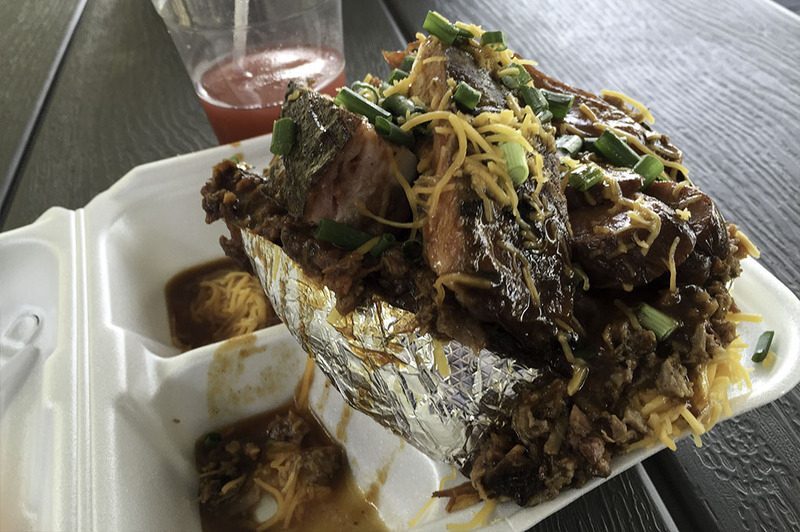 The J’s Special is what you want to get if you’d like to skip the baked potato and try other sides. 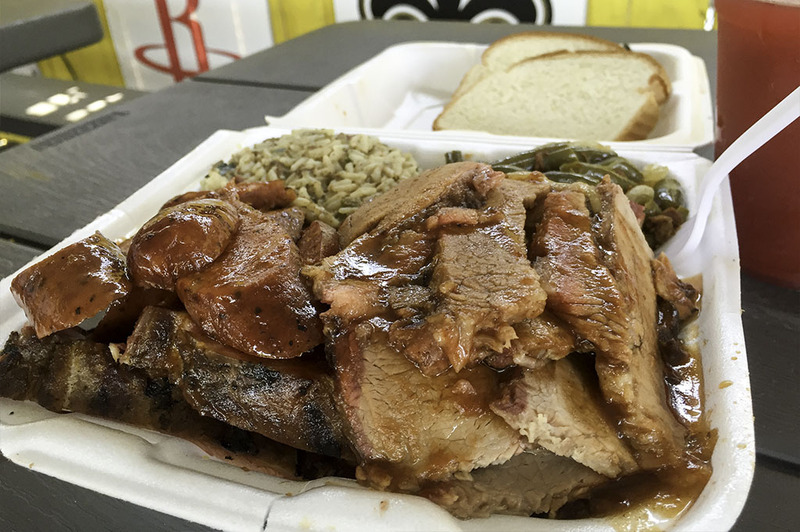 As with the Big J, you get beef brisket, sausage and ribs. 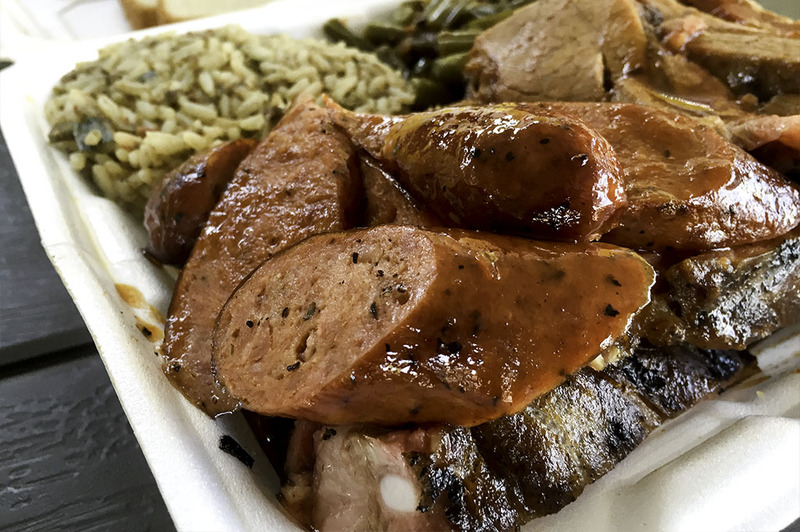 But, with this meat bonanza, we ordered Cajun Rice and green beans – both excellent choices. The green beans were exceptional – they tasted as though they had been cooked with bacon grease, my favorite way! 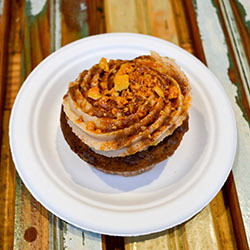 Last, but not least, we discovered a tasty new combination for our neck of the woods. 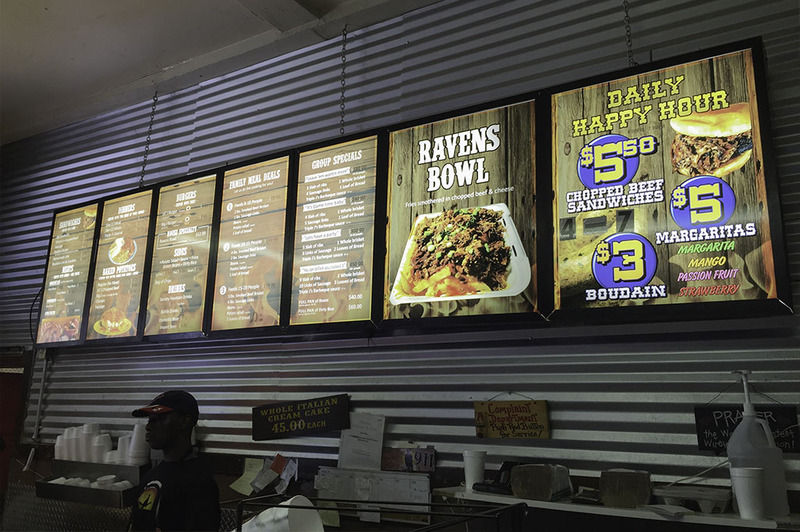 The Raven’s Bowl was a delicious mix of crispy French fries topped with cheese and chopped beef. You wouldn’t think the taste would be much different from getting this combo on a baked potato, but the flavor profile from the French fries makes it unique. I would suggest this as an appetizer to share with a couple of other people. 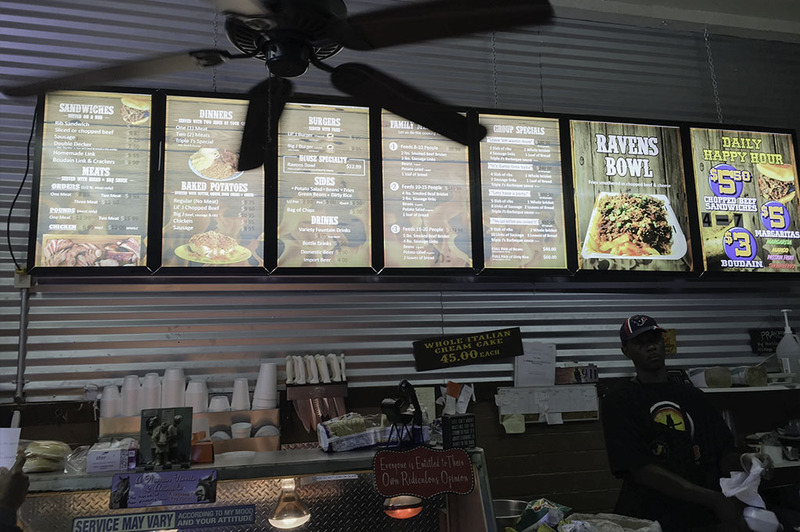 I loved the Raven Bowl although it’s not something you will find at most BBQ joints. I just love the BBQ here in Texas, the slow-cooked, fall-off-the-bone-style ribs have me salivating as I type. 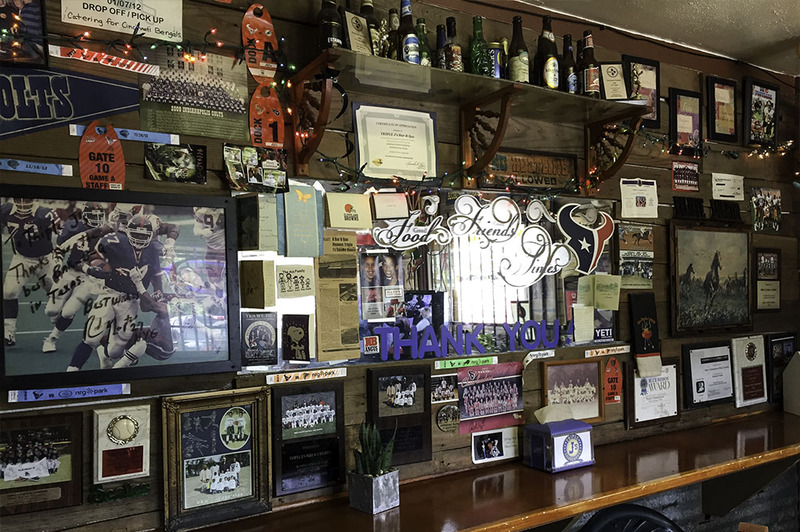 Triple J’s Smokehouse is doing it as good as I have tasted and with love from the north side of Houston. 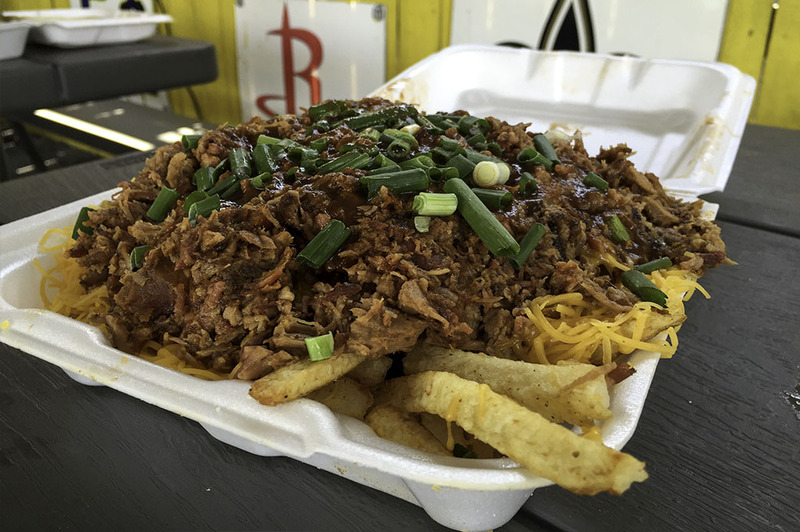 If you are looking for a true Houston, Texas BBQ experience, then look no further. It’s like being transported back to a time when things were simpler and, to be honest, good and pure. 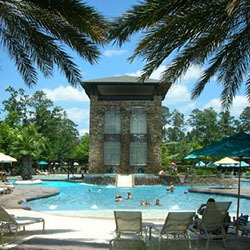 I will be back for years to come and bringing out-of-towners with me, for sure! 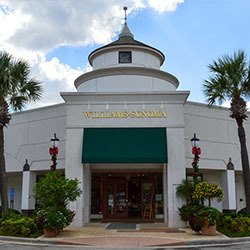 If you haven’t made your way over to this award winning spot, I suggest you do, pronto!